A North-east bike ride is to cater to those of the four-legged variety, with the launch of a new ‘doggy daycare’ service. Furry visitors to this year’s Chapelton Bike Ride, which takes place on Sunday, September 3, will have access to a ‘doggy pit stop’, thanks to a local dog walker. 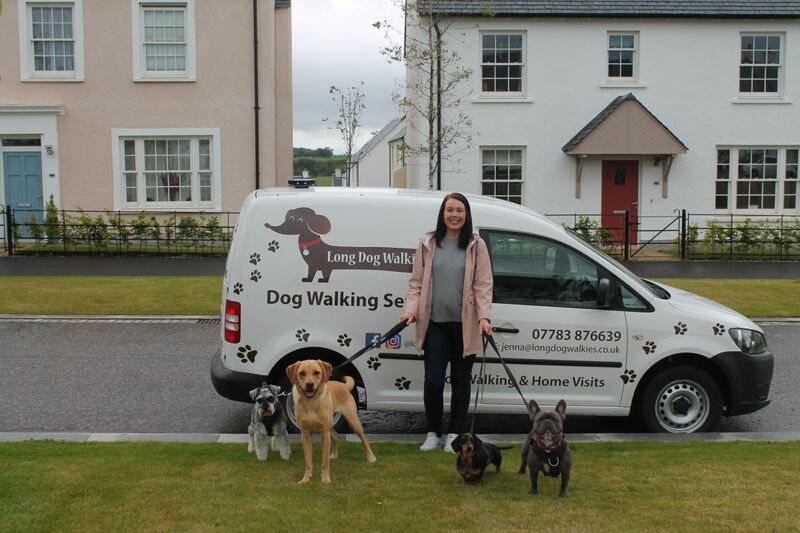 Chapelton resident, Jenna Smith, who runs Long Dog Walkies, will be providing complimentary treats, toys and water to weary pooches on the day of the bike ride. She will also be running a raffle, giving one lucky dog owner the chance to win a hamper of doggy treats. Owners can choose to stay with their pets, or leave them with Jenna for a short period of time, whilst they browse the full range of stalls and activities on offer. The 28-year-old came up with the idea of the doggy pit stop after noticing the high number of dogs in attendance at last year’s bike ride, prompting her to contact the organisers of the event to offer her services. 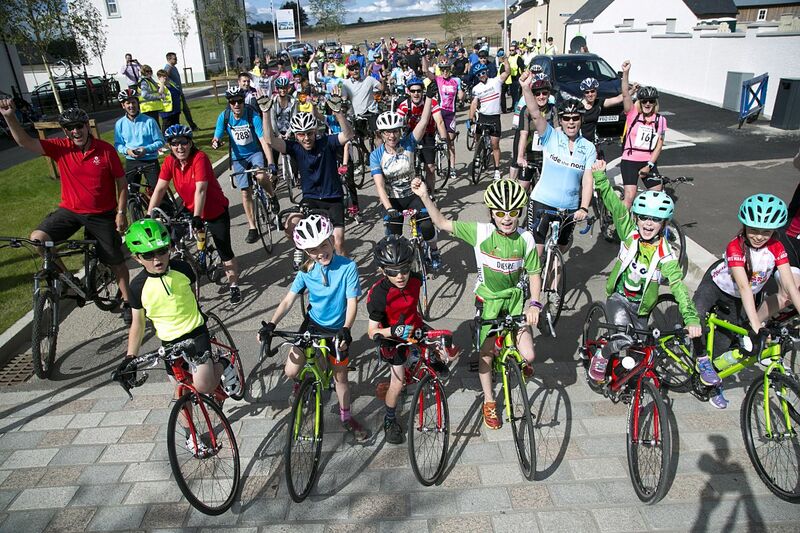 Held in aid of North East Sensory Services (NESS), a charity that supports over 6,500 people with sensory impairments across the North-east, the inaugural Chapelton Bike Ride welcomed over 250 cyclists and hundreds of other spectators to the village of Chapelton last year. “I wanted to give something back to my local community by getting involved with this year’s bike ride, as I noticed there were a lot of doggy companions at last year’s event. As a dog owner myself, I felt it was important to provide a peaceful area where dogs could rest away from large crowds of people. 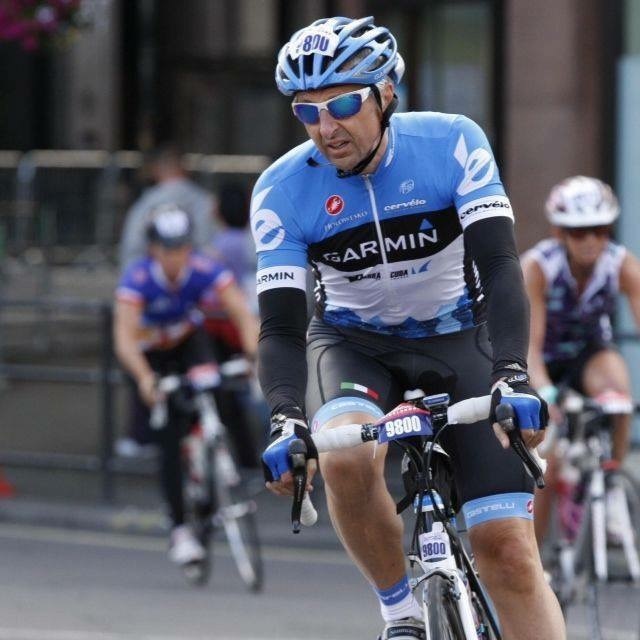 “It is great to see the huge increase in the number of local businesses getting involved with this year’s bike ride. We’re very thankful to Jenna for offering a complimentary dog minding service, as this will encourage more people to come along to enjoy the wide range of activities on offer. A businessman from Moray recently geared up to raise vital funds for a North-east charity by participating in an annual sponsored bike ride. 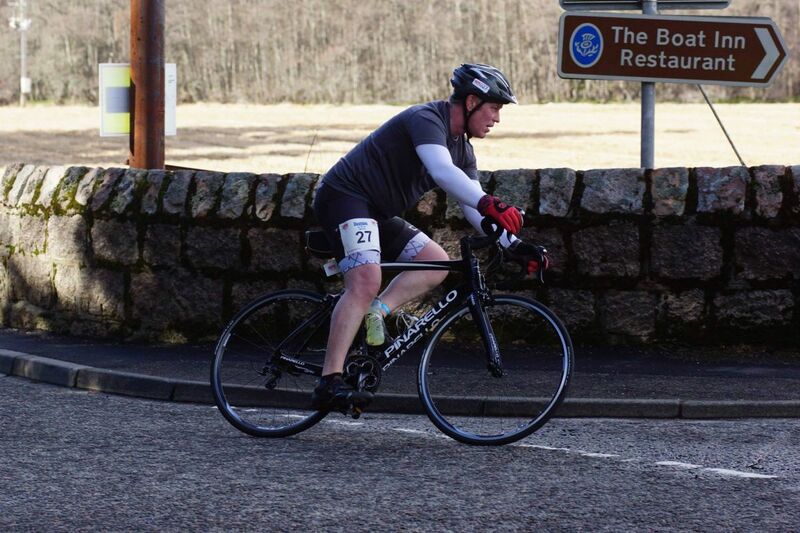 Mervyn Stanley, from Elgin, took part in the Glen Moray Sportive for the sixth year in a row, in aid of North East Sensory Services (NESS), a charity that supports around 1,100 people in Moray who have significant sight and/or hearing loss by providing a wide range of services. The Glen Moray Bike Ride, which took place on Sunday, 25 June, featured three cycling options, a 10-mile family friendly route, a 25-mile route and 75-mile sportive. This was the 18th year that it was hosted by NESS, with support from Moray Council, and was sponsored for the fifth time by Elgin’s Glen Moray Distillery, which was the start and finishing point for riders. Chapelton residents with Neil Skene from NESS and the Duke and Duchess of Fife. The Chapelton Bike Ride returns for a second year on Sunday, September 3, with the addition of the new Chapelton 5K Walk sponsored by Liberty Retirement Living, which will coincide with the event’s 42-mile and 12-mile bike rides. Held in aid of North East Sensory Services (NESS), the event was formerly the Great Stonehaven Bike Ride, before it moved to the village of Chapelton, near Newtonhill. Last year, over 250 cyclists took part in the first ever Chapelton Bike Ride, raising over £6,500 for NESS. “We are all thrilled about the launch of the 5K Chapelton walk, as it opens up the event to a much more diverse group of people who might not have been able to take part in either of the bike rides. 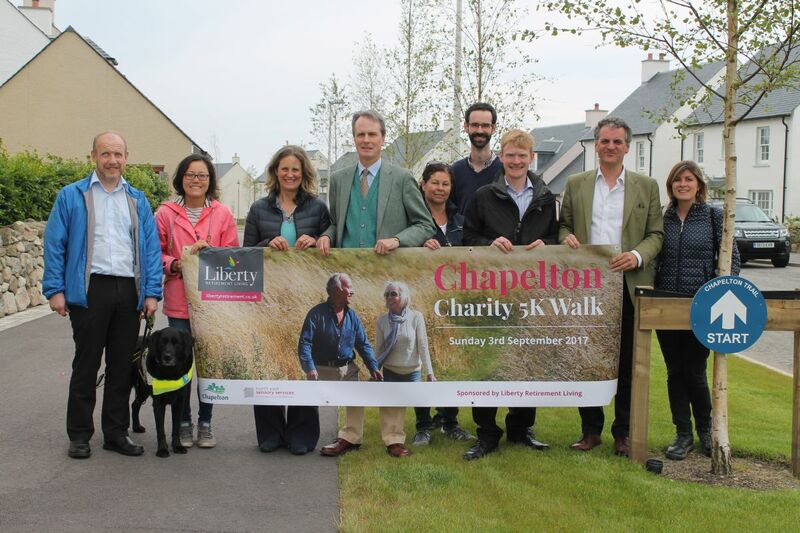 “The first Chapelton Charity 5K walk promises to be a fantastic community event for residents of Chapelton and the surrounding area. North-east Sensory Services (NESS) promotes the needs of people with a sight or hearing loss. NESS supports people with serious sight or hearing loss to overcome practical and emotional challenges and achieve independence. Formerly Grampian Society for the Blind (GSB), North East Sensory Services (NESS) works with over 6,000 people with a sensory impairment in Aberdeen, Aberdeenshire, Angus, Dundee, Elgin and Moray. Liberty Retirement Living: Building brand new communities in desirable locations across the country, Liberty Retirement Living is committed to improving the quality and experience of later life. A Liberty Lifestyle combines good health, opportunities and independence with tailored care available if required – it’s our vision for enjoyable and modern retirement living, delivered with respect. Our first retirement village in Scotland will be a vibrant 94-home community with a range of complementary facilities, at the heart of the growing town of Chapelton, Aberdeenshire. A new Liberty marketing suite will open in Chapelton in September 2017 – in the meantime, please visit www.libertyretirement.co.uk for further details. With thanks to Diane Smith. The Moray Way Association has received £6000 from the Heritage Lottery Fund (HLF) to support the Moray Walking & Outdoor Festival and a project based along the Moray Way, Moray’s 96 mile long distance walking route. Made possible by money raised by National Lottery players, the projects will focus on events that uncover the historical, archaeological, architectural, natural and the landscape heritage of Moray. This year the festival, which runs from 16 June to 25 June 2017, will have a ‘heritage’ theme with more events than ever exploring Moray’s built and natural landscape. Highlights of the programme will include two events by Moray based historian and writer of The Making of a Scottish Landscape, Dr John Barrett; Ghost Towns – deserted settlements in Strathavon, where you will be able to explore the remains of a lost culture and, A Royal Burgh: the making of Medieval Forres, a walk tracing the origins and development of the town. The events are proving to be popular as an extra date has been arrange for the Ghost Towns walk which was sold out in a week. The programme has a wealth of other historical and natural heritage events organised by local community groups like Speyside Visitor Centre, Cullen, Deskford & Portknockie Heritage Group, Forres Footpaths Trust, the Dava Way, Belles on Bikes Moray and Findhorn Village Heritage, alongside organisations such as Wild Things!, Outfit Moray, Forestry Commission, Moray Council Ranger Service and Ace Adventures. Over the 10 days there are 50 plus events right across Moray, from Tomintoul to Lossiemouth. 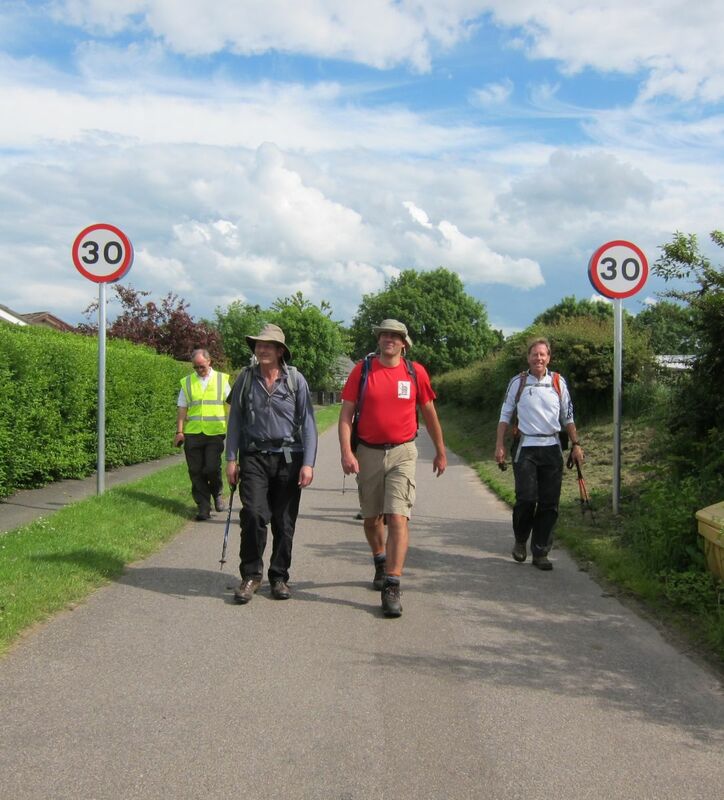 Back again this year is Moray Way Five Day Challenge in which participants walk the 95 miles of the Moray Way over 5 days. The walk, which includes the Dava Way, Moray Coastal Trail and the Speyside Way, provides participants with a ‘park and ride’ service to make it easier to complete the long distance walk, with options to just walk sections of the route. Also, returning this year is the famous Dava Way Ghost Train Walk, the Secrets of Pluscarden and Secrets of Spynie which participants rated as excellent last year. For those who are looking for adrenalin rush then Ace Adventures are running their water sports events every day of the festival at special reduced prices. You can see the River Findhorn from a different view with cliff jumping, canyoning and white water rafting. They are also running their growing activity, Disc Golf. a Wild Swim event will be taking place in Lochindorb with Vivienne Rickman- Poole, artist, wild swimmer and listed in the top 19 San Miguel Rich List ‘alternative rich’ as well as Calum Maclean, of ‘Wild Swimming in Scotland’. A unique and special opportunity with The British Biathlon Rifle Club to spend several hours learning to shoot small-bore rifles in the marvellously unique Olympic discipline of biathlon. As well as supporting events in the Moray Walking & Outdoor Festival the funding will also help the development of a long-term plan to increase awareness of the Moray Way. Funding will support a commission artist to work with communities along the Moray Way to gather stories which can then be used to promote the route. This project will expect to start in the summer. Local businesses are being encouraged to get behind Aberdeenshire’s newest cycling event by showcasing the best of what the region has to offer. Organisers of the Chapelton Bike Ride, which takes place on Sunday, 3 September, are looking to expand on last year’s event by increasing the number of stalls and activities on offer. The inaugural Chapelton Bike Ride took place last year and welcomed hundreds of cyclists and spectators to the village of Chapelton, near Newtonhill. 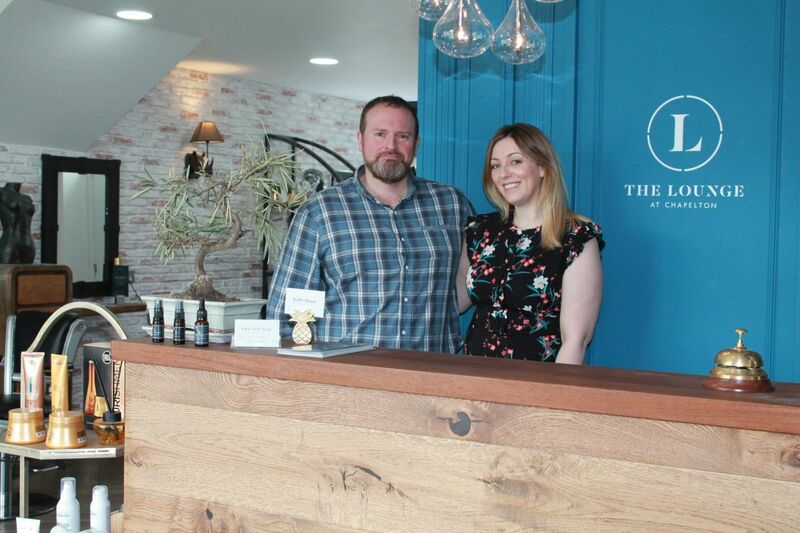 The event featured stalls from local businesses such as Serenity Scented Candles, and local artist, Bee Struthers, as well as food and drink from The Bay Fish & Chips, Cav & Co and Bannerman Butchers. Held in aid of North East Sensory Services (NESS), a charity that supports over 6,000 people with sensory impairments across the North-east, last year’s bike ride raised over £6,500 for the charity, enabling it to continue to provide life-enhancing services to people with sight and/or hearing loss. “The first ever Chapelton Bike Ride was a huge success, so we’re looking forward to making this year’s event even bigger and better, with more stalls, food stands and activities for everyone to get involved with. “We’re very pleased to hear that there are plans to increase what is on offer at the next Chapelton Bike Ride, as it should encourage even more people to attend this year’s event. If you are interested in becoming a stallholder at this year’s Chapelton Bike Ride, please contact Alastair Struthers on a.struthers@zeroc.co.uk. More information about the bike ride can be found at www.chapeltonbikeride.co.uk. Registration costs £15 per person for the 42-mile route, £5 per person for the 12-mile route, or £15 for a team of four for the 12-mile cycle. Register for the Chapelton Bike Ride at https://www.q-buster.co.uk/chapelton. North East Sensory Services (NESS) promotes the needs of people with a sight or hearing loss. Formerly Grampian Society for the Blind (GSB), North East Sensory Services (NESS) works with over 6,000 people with a sensory impairment in Aberdeen, Aberdeenshire, Moray, Dundee, Angus and Perth & Kinross. 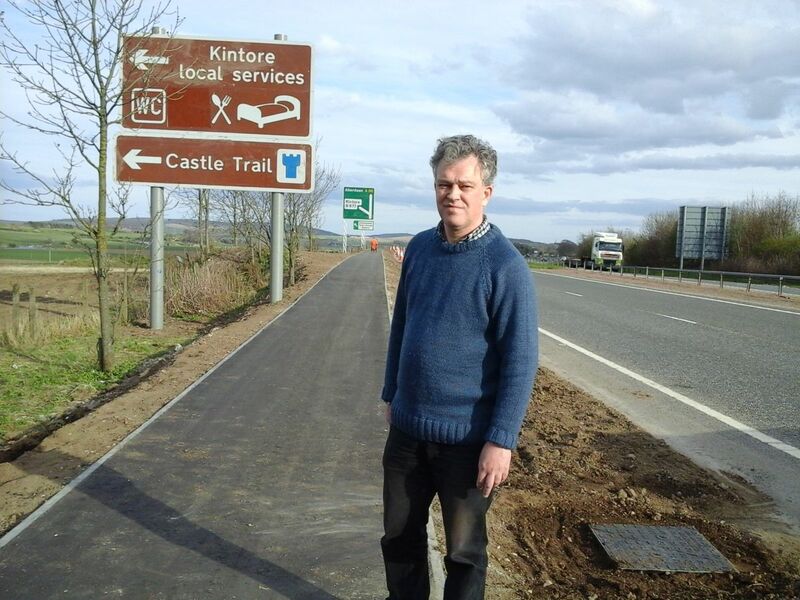 East Garioch councillor Martin Ford has welcomed progress being made towards a cycle route between Inverurie, Kintore, Blackburn and Aberdeen. “I’m keen to see a cycle route in place all the way between Inverurie and Aberdeen,” said Cllr Ford. Aberdeen City Council is working towards provision of a cycle route between Bucksburn and its boundary at Blackburn. Councillor Ford has been pressing Aberdeenshire Council for a cycle route between Inverurie and Kintore so cyclists do not have to cross or use the A96 dual carriageway. More recently, he has called on the Council to identify then deliver a cycle route between Kintore and Blackburn. And Cllr Ford along with Cllr Paul Johnston (as the Democratic Independent and Green Group of Aberdeenshire councillors) secured an extra £250,000 per year for active travel (cycling and walking) in Aberdeenshire Council’s revenue budget from 2016/17. Between Port Elphinstone and Kintore, a good cycle route was put in place some years ago between Port Elphinstone and the Thainstone roundabout. Last year (2016), a new cycle path was constructed between Kintore and Kintore Business Park. Cllr Ford has been pressing for the ‘missing link’ section of cycle path (between the Thainstone roundabout and Kintore Business Park) to be constructed as soon as possible, thus providing a cycle route all the way between Kintore and Port Elphinstone which does not involve using or crossing the A96. In response to enquiries from Cllr Ford, Council officers have advised the construction of the Thainstone roundabout to Kintore Business Park section of cycle path should go out to tender this month, with the new length of path due to be complete by May 2017 at the latest. Council officers have also confirmed to Cllr Ford that Aberdeenshire Council has appointed infrastructure consultancy firm AECOM to progress delivering a cycle route between Kintore and Blackburn. AECOM will look at feasible options for the route, from the site of the planned railway station in Kintore to the south end of Blackburn at the boundary between Aberdeenshire and Aberdeen City. They have been asked to consider cyclists of all abilities when looking at the options. A report on the feasibility of possible routes, their respective advantages and disadvantages and indicative costs will be prepared by 31 March 2017. Council officers anticipate a report to the Garioch Area Committee will follow on 18 April 2017 for councillors to take a decision on the preferred route. Detailed design will then proceed during financial year 2017/18 so bids for funding for construction can be made in financial year 2018/19. Two members of staff from motor specialist Peter Vardy Vauxhall are preparing to tackle a self-styled Tour de Vardy in aid of charity following an inspiring summer of British cycling. Richie Cooper, managing partner and Gavin Fairweather, new car sales manager, will pedal 230 miles from 1-3 October 2016 to raise funds for family support charity Home-Start Aberdeen. The pair, both of whom are keen cyclists, have been in training for the challenge, which forms part of Peter Vardy Aberdeen’s year-long CSR (corporate social responsibility) partnership with Home-Start Aberdeen. The cyclists’ 230-mile route commences from the Peter Vardy CarStore in Glasgow and incorporates stopping points over the weekend at the company’s showrooms in Motherwell, Edinburgh, Dalgety Bay, Kirkcaldy, Perth and Dundee. They will be followed by two colleagues in a liveried support vehicle and hope to receive lots of additional moral support during their stops along the route. 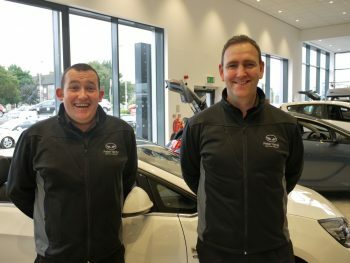 They are due to reach their final destination – the Peter Vardy Vauxhall showroom on Aberdeen’s Lang Stracht – late afternoon on Monday, 3 October. “All of our colleagues throughout Peter Vardy in Scotland are aware of what we are doing and we are looking forward to seeing as many of them as possible during our scheduled stops on the Tour de Vardy,” says Richie. “We are thrilled that Richie and Gavin have chosen to raise funds for us in this way. The Tour de Vardy is an amazing challenge in itself, however we are aware that a lot of planning and training has also gone into this event. The Tour de Vardy is one of a series of fundraising events planned by Peter Vardy staff throughout their year of joint working with Home-Start Aberdeen. The cyclists’ appeal has already received a boost in the form of a £2000 pledge from their employer. Anyone who wishes to support their efforts can donate at http://uk.virginmoneygiving.com/team/PeterVardyVauxhallAberdeen. Further information on Home-Start Aberdeen’s support services for families is available at www.homestartaberdeen.org.uk, telephone 01224 693545.